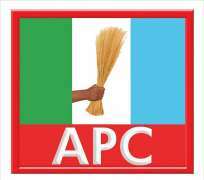 Osun State APC Approves Campaign Committee. The Osun State chapter of the All Progressives Congress (APC) has announced the setting up of its campaign committees to execute the party’s governorship election campaign throughout the state. Under the new campaign structure, the apex campaign committee is the Central Campaign Co-ordinating Centre – (CCCC), under the direct supervision of the state party Chairman, Gboyega Famodun. The Central Senatorial District Campaign Committee is headed by Mr. Sola Oladepo. The East Senatorial District Campaign Committee has Hon. Israel Ajibola Famurewa as the director general, while Dr. Najeem Salaam is the Director General of the West Senatorial district Campaign Committee. Each of the Senatorial District Campaign Committees will have sub divisions of Federal Constituency Campaign Committees that will comprise Organisation, Contact and Mobilisation, Media and Publicity, Security, Legal Affairs, Women and Youths Affairs. According to the press statement from the state chairman of the party, the entire campaign will be directed and supervised by the state chairman from the Central Campaign Co-ordinating Centre (HQ), whose members include the flagbearer of the party, Alhaji Gboyega Isiaka Oyetola and his deputy, Mr. Gboyega Benedict Alabi.